Blizzard’s only just now getting around to FPS mainstays like deathmatch with Overwatch’s official modes, but custom games have allowed players to tunnel their way outside the box. In order to create an Overwatch-flavored variant of the ever popular “zombie” FPS mode, one player got very creative. An Overwatch fan by the name of “Deltin” managed to create a zombie mode in which a team of “survivors” takes on a team of “zombies.” If anybody on the survivor team dies, they respawn on the zombie team. Zombies win when all survivors are converted, or lose after five minutes. Survivors have tools (well, turrets, because they’re all Torbjorns), but zombies are goddamn Reinhardts, barreling freight trains of fury and inevitability. Also hammers. 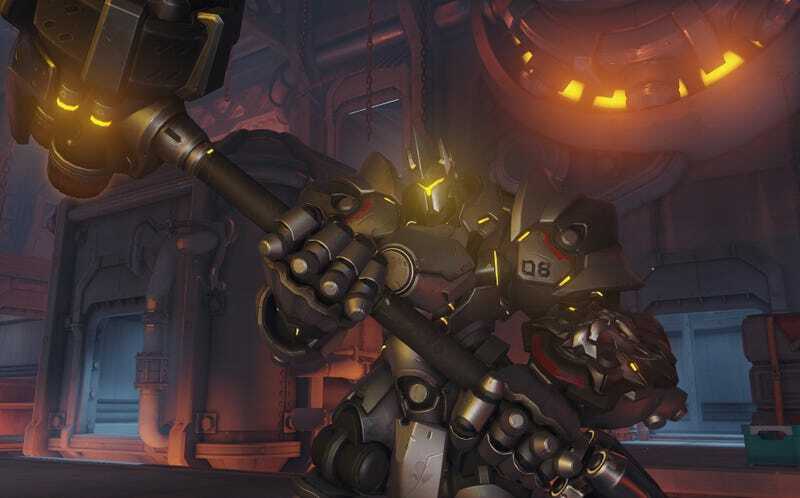 It might not sound like the most complicated thing ever, but due to the limitations of Overwatch’s custom game settings, team-switching on death is an ordeal. So Deltin made a bot outside the game to handle that part for him. The problem here, of course, is that even an innocent little switcheroobot could be against Blizzard’s terms of service. Deltin insists, though, that you can’t create hacks with the bot’s code and says that he plans to release it once he’s squashed all the bugs, so that other people can use it to make their own modes. In the meantime, you can go here to join a match, assuming the server’s not full.